It is well-known that protein is a vital part of the diet. Eating sufficient amounts of protein keeps you feeling satisfied for longer, helps you to build & maintain lean muscle mass, stabilises blood sugar levels and improves your mood & overall health. Protein rich foods come in two forms: complete and incomplete. Complete protein sources are those that provide all 9 essential amino acids that the body is unable to produce on its own and must obtain from the diet. Incomplete protein sources are those that provide only some of these 9 essential amino acids. The majority of animal based protein rich foods are complete, whilst those that are plant based tend to be incomplete. The great news however is that whilst one plant based protein food may have very little to no quantities of a certain essential amino acid, another one will be abundant in it. So as long as you eat a variety of plant based protein rich foods, you will lower your risk of suffering from deficiencies dramatically. Below are the 15 best protein rich vegan foods that you should include in your diet. Not only are seeds high in protein, they are also a rich source of various minerals such as magnesium, zinc, potassium, iron and manganese. In the kitchen, these seeds have many uses. For example, flax seeds can be added to smoothies, sunflower seeds can be sprinkled over salads, pumpkin seeds can be chucked into trail mixes, sesame seeds can be ground up to make tahini and chia seeds can be used to prepare chia pudding. Do a quick search online and you will find many other interesting ways to make use of these seeds. All nuts are very good sources of protein, vitamins and minerals. To prepare their butters, the nuts need to be ground until they form a thick uniform paste. If you are a fan of nut butters, it is important to read labels before making a purchase because not all varieties are created equal. High quality nut butters are prepared from only nuts (with maybe a bit of added salt), and nothing else. You can also make your own nut butters at home if you have a powerful enough food processor. Lentils have an amazing nutritional profile. They contain large quantities of nutrients, including the B vitamins, iron, phosphorus and selenium. They also have very impressive amounts of protein and dietary fiber, but at the same time are not very energy dense, making them an excellent choice when trying to lose weight. Lentils come in a various colours, including yellow, green, orange and black. And, you don’t just need to use them in curries, there’s plenty of mouth-watering lentil based recipes out there. Just like lentils, beans have a diverse nutritional profile. For example, a cup of cooked kidney beans will provide you with 12% of your daily requirement of calcium, 29% iron, 21% magnesium, 21% potassium and 10% zinc. Beans come in many varieties, including lima, black turtle and adzuki, all of which are high in protein. One thing to note is that it is important to prepare beans thoroughly before eating them, so as to avoid food poisoning. This can be done by soaking them in water overnight and then cooking them in boiling water for at least 10 minutes. Chickpeas are the key ingredient used for preparing hummus, a protein rich dip that is native to the Middle East. Chickpeas contain large amounts of the amino acid lysine, whilst tahini (which is also used to make hummus) is a source of methionine. Eating hummus together with pita bread means that you get a good dose of all 9 essential amino acids. But besides hummus, there’s lots of ways you can enjoy chickpeas. Even though oats are mainly made up of carbohydrate, they also have some protein. Oats can be a bit bland if cooked in water and eaten on their own, but you can make them much more flavoursome and exciting by combining them with things like cinnamon, bananas, dates, nuts and seeds. You can also used oats in smoothie bowls or as an alternative to flour when baking. Opt for steel-cut or rolled oats as these varieties are the least processed and also the most nutritious. Quinoa (as seen in the image above) is the seed of a leafy plant that is related to spinach. It is rich in fiber, vitamins and minerals, but best of all, it is both high in protein and a complete protein source. Quinoa is readily available at most supermarkets and grocery stores, but if you are unable to find it, have a look online. To prepare quinoa you first need to rinse it well under running water to get rid of the bitter outer shell, after which it can be cooked in water for 10 – 15 minutes, until it is nice and fluffy. Amaranth and buckwheat are two other similar vegan alternatives to quinoa, and both are high in protein. Soy is a very controversial food. Some people will tell you that it is an amazing superfood that you should eat on a regular basis whilst others will advise you to avoid it all costs. What is agreed upon is that soy based foods are high in protein. For example, a cup of tofu has 20.6 g of protein whilst a cup of soy milk has 8 g. Other soy based foods include miso, tempeh and edamame. If you are confused about soy and not sure whether it should be a part of your diet or not, read this article, it provides some great insights on the topic. Corn (also known as maize) is a grain that has been eaten by people all over the world for thousands of years, and is a staple of many diets. For a food that is consumed as a vegetable, it contains an impressive amount of protein, with over 5 g per cup. Corn can be cooked in many different ways, including roasting, steaming and boiling. When corn kernels are heated you get popcorn, which contains 1 g of protein per cup. You wouldn’t think that a carbohydrate rich food like rice would have any protein, but it does in fact have a decent amount. Not only is rice cheap and readily available, it can be eaten with most of the other foods mentioned in this list. For example, when you combine rice and beans together, you get a complete protein. Brown rice has more protein than white rice, whilst also being higher in fiber and other nutrients. Spirulina is a bluish-green freshwater plant that has become increasingly popular in recent years. One reason for this is because a small serving has large amounts of protein. It is grown all around the world and will most likely be available at health food stores near you. Some of the benefits associated with spirulina are its ability to detox heavy metals, prevent cancer, lower blood pressure and boost energy levels. A quick and easy way to use it is to add a tablespoon or so to a smoothie recipe like this one. There are plenty of green vegetables that contain small amounts of protein. These include things like peas, kale, Brussels sprouts, artichokes, rapini, collard greens, spinach, mustard greens, broccoli, dandelion greens, arugula, watercress and asparagus. Other vegetables like potatoes and mushrooms also have protein. The great thing about vegetables is that you can eat large quantities of them throughout the day, which will allow you to increase your overall protein intake significantly. The guava is a fruit that is native to Mexico and Central America, with a green outer skin and pink inner flesh. Guavas are the best vitamin C source out there, providing four times the amount that oranges do when compared weight for weight. 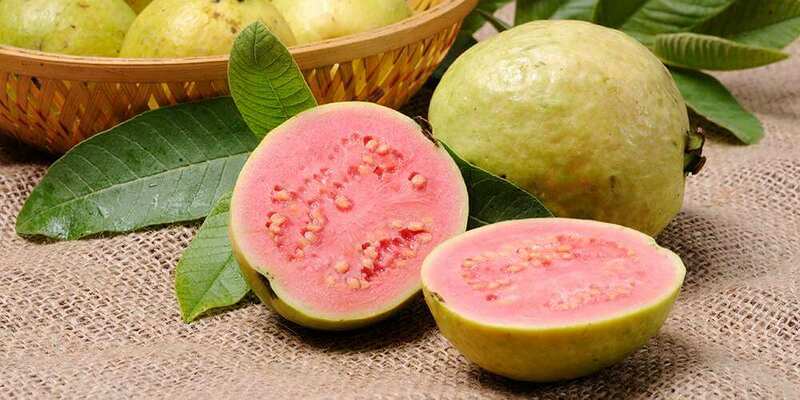 Guavas also have more than 4 g of protein per cup, which wouldn’t be expected from a fruit. You can either eat guavas raw on their own or use them in many interesting recipes like the ones found here, many of which are vegan friendly. There are powders available on the market made from plant based foods such as peas, rice and hemp seeds, and many of these powders are complete protein sources. That said, it is important to keep in mind that these powders often have an overpowering taste and are not always the most pleasant to consume. It can take some time to get used to their flavours, so before purchasing large quantities be sure to read their reviews and order small samples. Ezekiel bread is different to ordinary bread in that it is made from sprouted whole grains and legumes such as wheat, millet, barley, spelt and lentils. Because the grains used are sprouted, Ezekiel bread is thought to be more nutritious, whilst having fewer anti-nutrients. You should be able to buy this bread at local food shops, or alternatively make your own at home. Spread some peanut or almond butter over it to get a nice boost of protein! Opinions about the amount of protein that an individual should eat varies greatly. The Dietary Reference Intake (DRI) is 0.8 g of protein per kg of body weight, which equates to 56 g per day for the average sedentary man and 46 g per day for the average sedentary woman. However, this amount is not a hard and fast rule to live by as protein requirements will depend on a persons age, body composition, activity levels, physical goals and current state of health. For example, active individuals who are aiming to build muscle mass will often be advised to consume at least 1 g of protein per pound of body weight. If you don’t lead an overly active lifestyle, then you should aim to get around 50 – 100 g of protein per day. If you exercise a lot and want to build muscle, aim for more. Additionally, it is well-known that protein is beneficial for weight loss. A general recommendation is that individuals who are trying to lose weight should have 25 – 30% of the calories they consume come from protein. On a 1600 calorie diet this would equate to between 100 g – 120 g of protein (since protein has 4 calories per gram). You can use the tool below to estimate your calorie requirements. Eating a variety and large enough quantities of the protein rich foods mentioned above will ensure that you don’t suffer from protein deficiencies. Speaking to a qualified health professional like a doctor or registered nutritionist is also always a good idea when you are confused about the types and quantities of foods that you should be eating. As you can see from this article, there is certainly no shortage of protein rich foods that vegans can eat. Additionally, do a quick search online and you will find hundreds of mouth-watering vegan friendly recipes that make use of these foods!